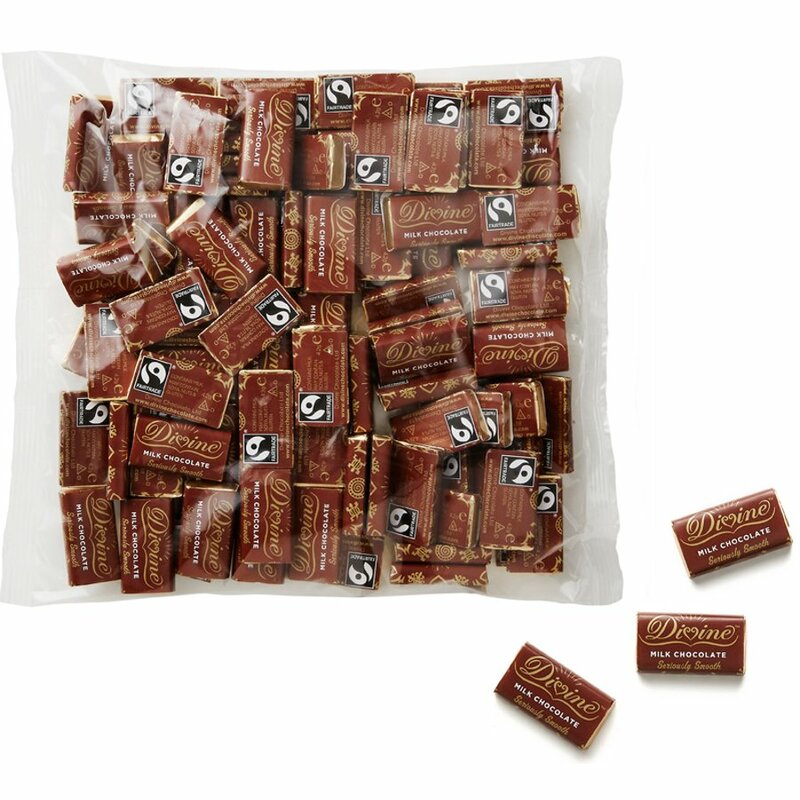 The Day Chocolate Company is delighted to announce the introduction of the 4.2g Divine bar - perfect miniature bars of Milk Chocolate. Made with all natural cocoa butter and vanilla, and wrapped in the sophisticated gold and black Divine livery, the miniature bars are perfect for a distinctive complimentary gift, accompaniment to after-meal drinks, or an irresistible mini-purchase displayed in a counter-top tub. 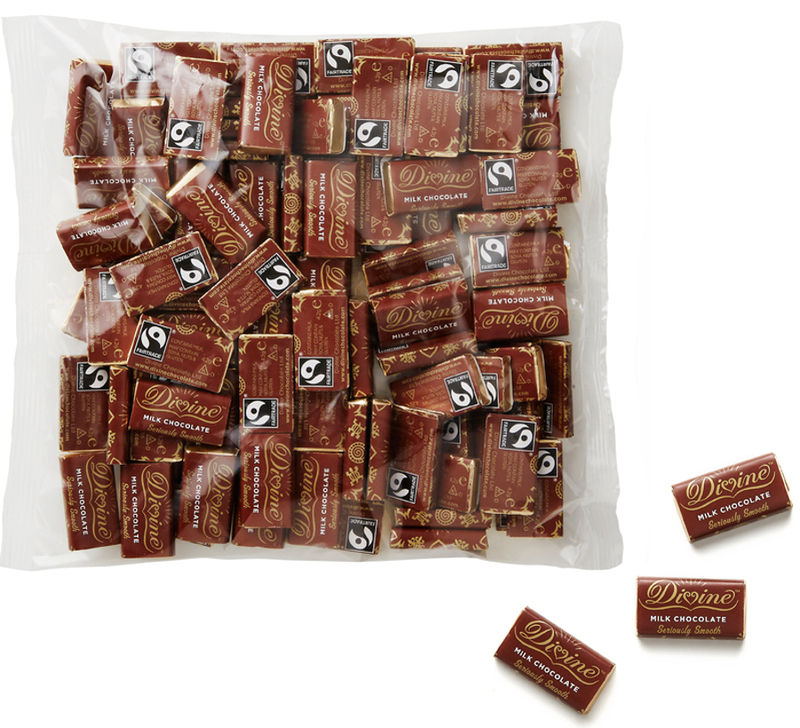 Delicious fair trade chocolates! Love these so much. Thank you for the fast delivery and excellent packaging! Will be buying again in future.